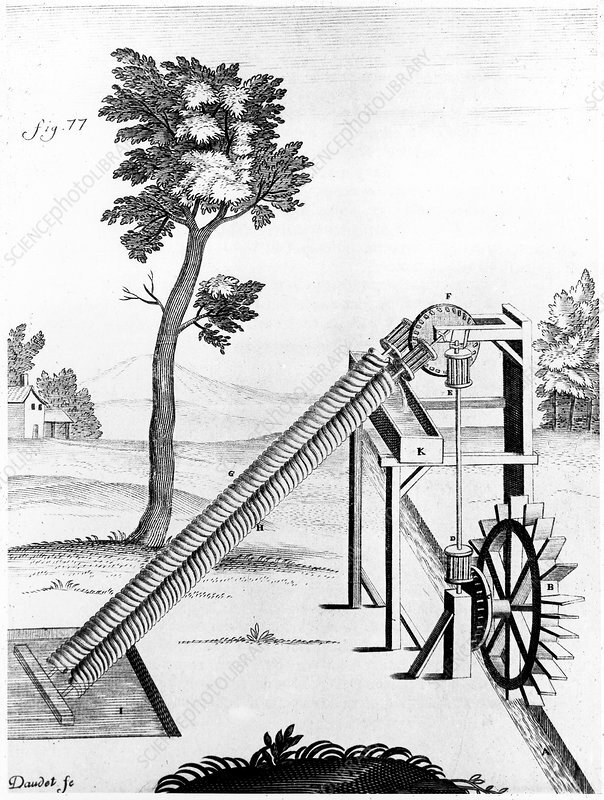 Twin Archimedean screws powered by an undershot water wheel, used to raise water. From Gaspard Grollier de Serviere Receuil d'Ouvrages Cureieux., Lyons, 1719. Engraving. Artist: Gaspard Grollier de Serviere.